Everyone: yourself and the people you consider a friend, have an immense level of potential to do a lot of things. You have to realize that the best you give today can be the worst you give tomorrow; “May the best of your todays be the worst of your tomorrows.” – Jay-Z. 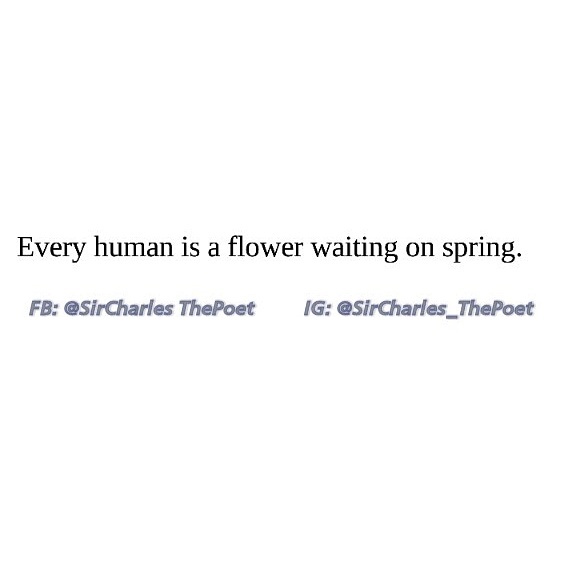 Each one of us is a flower: ready to bloom with every might as soon as spring comes by. So, quit telling yourself you cannot do something or something was not made for you, though you want it. You know that is a lie. You have to believe in yourself, believe you can achieve greatness and if your time to achieve greatness hasn’t come yet, prepare for when it arrives. “What if I don’t want to wait?” Well, some plants also grow in other seasons. Try to achieve your greatness now. Patience is good but, if you know you can achieve something right now, what are you waiting for? Let now be your spring and let yourself grow and bloom into more beauty. 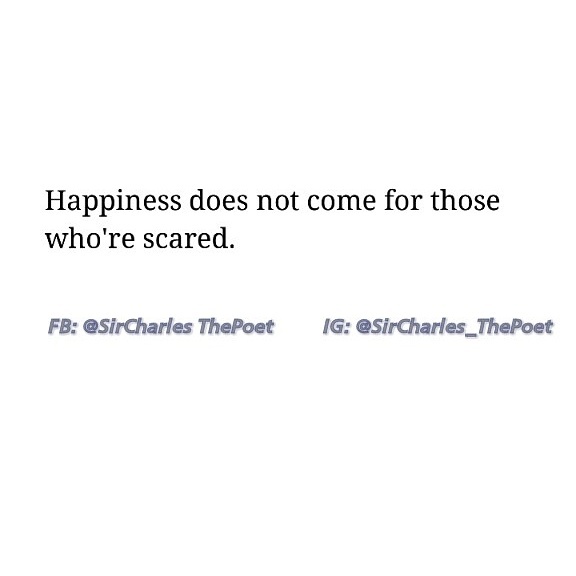 Tell that to a friend as a reminder or to someone who is losing faith in themself. Let them know that, they are at their worst but their time will come. So keep your head up and soldier on! The journey is tough, I know, but an arrow has to be pulled backwards before it plunges forward. Know someone who needs some motivation? Share this with them! This also connects to the saying, “if you want something you’ve never had, then you have to go do something you’ve never done.” I hate to break it to you, but opportunity/life is not going to chase after you. You have to attract it. There are many times in my past where I would wake up, do the same thing, then complain about how my life is boring and I never get the opportunity to do something fun. I had to realize: of course my life will continue to be boring, I don’t attract the fun. If you want something different to happen in life, following your old routines will not allow that. Change something, build a door, then assess how good it is. If you want a job, going about your day the way you always do won’t make a job offer magically appear. You have to change something about your daily routine…like start looking for one or building on your qualifications to make getting a job more likely. 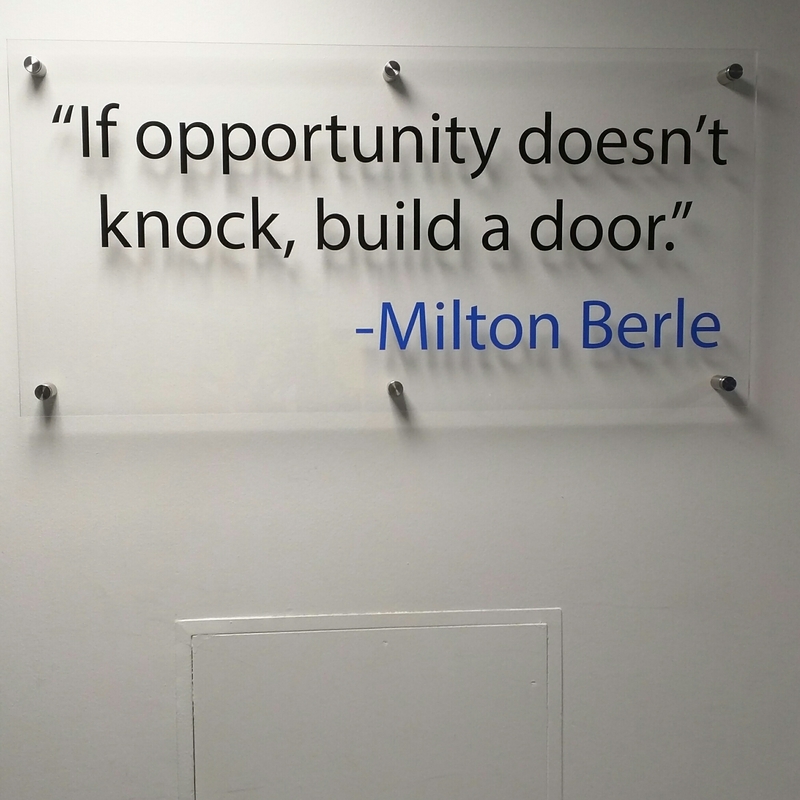 And if you have a job and want a higher position, same thing still applies: change something; build a door. Whatever sort of success you dream of achieving, do whatever you can to attract the opportunity. With a horse of literature. Neat writing because her life contained a disastrous creature. Emotions that escape like smoke through that jail cell you call a face. Electricity trapped inside the head, flashing through veins and demolishing the soul unnoticeably. Fire, erupting out of the mouth like a volcano of words. You’ve consumed all of them. Just so you can breathe success? I hope you learn to live.